Our professional car detailing service will give your car the look it deserves. Using state-of-the-art technology, we will service your vehicle from inside and out providing complete satisfaction. Whether you want to increase your car resale value or want to give your old car a complete new look, we will get the job done perfectly. We love challenges, no matter what is the condition of your car and how old it is we will give it the best look possible. Just give us a call 843-408-0851 and get all your questions answered. Our customer-friendly representative will provide you all answers with full details. Providing High Quality car detailing service is not the only thing we focus on. With amazing Car detailing service we focus on each and every aspect of our all services from start to finish. You will find our customer service to be best among all others. All our staff is helpful, trained, friendly and always performs above their duties. They will help you with every step, and will make sure you understand everything so you will be 100% satisfied. They will ask questions about every detail of your car so they could be able to work perfectly on your car to create a masterpiece. With over 7 years of experience in this field, we understand all the needs of our customers and provide solutions according to it. We don't just clean your car or give it a better look, we give it a completely new life! You can just give us a call on this number 843-408-0851 and receive a free price quote. If you have any questions regarding our services, our customer-support will be more than happy to answer. For car detailing prices matter a lot, many companies charge a high price for a low quality work. If the price might not seem high there will be other hidden charges that will exceed your budget and you will end up paying more for less. At Diamond Car Detailing, we provide each and every detail from the start of our conversation. We will never hold back any extra charges and even with all the prices and charges you will find our prices to be most reasonable in whole Charleston, SC. We understand how important our customer's money is and we provide value for that money. With our amazing car detailing service, your each penny will be worth it. 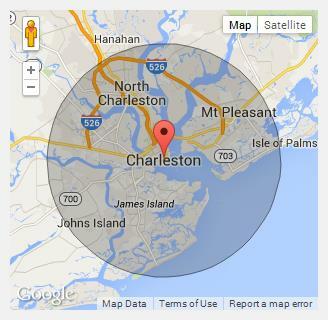 To learn about our pricing, just give us a call 843-408-0851 and you will definitely receive a quick response. Before you start spending your money on our car detailing service you need to understand many things that will help you get the best outcome for your money. It might seem easy to just give your car to our service and get it back completely new. But it actually involves many things and information from both sides that can end up with a better result and better savings. When you will contact our car detailing service in Charleston, SC for making your car completely new, we will work side by side with you. We will share each detail and will help you understand every aspect of your car and how we can make it look brand new. So you should have some basic knowledge of car detailing and such services in order to get the best out of your money and time. For this purpose, we have created this simple guide that consists of things that you should keep in mind before contacting us, so we both will be able to work together perfectly to make your car look the best. Though it is not compulsory as our customer support is good enough to help you with everything but still it will help both of us. Before going for any car detailing service, the first thing that should come in your mind is features. You should know your requirements and what kind of car detailing you need. After that, you should go for a car detailing service that offers all your needed features and also at a reasonable rate. At Diamond Car detailing, we provide complete solution for your needs and cover almost all features from light to heavy car detailing and from a simple car wash to a full car overhaul. Additionally, we do all this at quite reasonable rates. If you need more details on our services and charges just give us a call 843-408-0851 and we will answer all your queries. If you just need a good wash for your car, then you should know the difference between an automated car wash and manual wash. 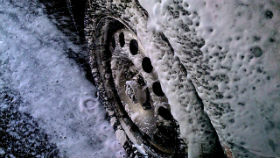 Some might say that manual wash is better than automated as machines can damage the car paint and some might like the idea of automated car wash for its speed and reliability. But the truth is both ways can damage your car or get the job done. It doesn't matter what system is being used, what matters is the equipment being used for cleaning. Automated car wash can damage your car if the water used is in less quantity or equipments used have too much dirt on them and the same goes for manual wash. So instead of deciding between methods you should focus on the car detailing service which is offering the service and see what kind of equipments and methods they use. Our car detailing service in Charleston, SC use state-of-the-art technology to provide the best results and all our equipment is new and cleaned thoroughly before using them for washing. So you should never be worried about your car's paint and finishes when you will hand over your car to us. If you still have any questions about our equipments and methods you can call us on this number 843-408-0851. There are many detailing services which don't involve cleaning of the engine bay in their standard packages. Though many services neglect this feature, but it is actually quite important part of car detailing. It also requires quite care when cleaning so handing over this job to unprofessional car detailing service can lead to damaging your engine. 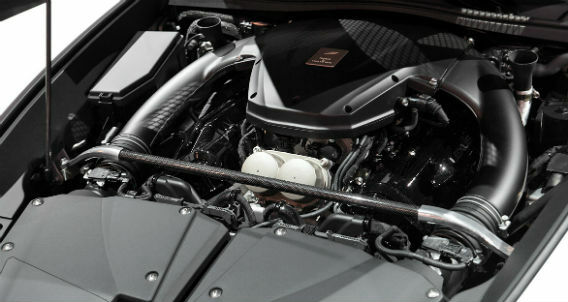 With our complete car detailing solution we also provide engine bay service. Our highly professional staff with year of experience knows each and everything about engine bay cleaning and will clean it thoroughly with care. They will first lightly mist it with water and will use a high quality degreaser to clean before rinse cleaning. When all parts will be properly dried, all plastic, silicon and rubber components will be properly dressed that will protect from cracking. If you want to know more about our processes used in each service call us 843-408-0851.